April 08,2013. St.Petersburg,Russia. 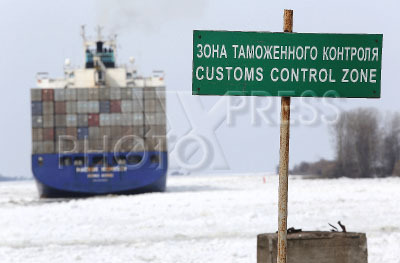 Pictured: Customs control zone of Turukhtanny customs post of Baltic Customs area. A cargo vessel full of containers leaving the port.